After reading the two famous novels A Study in Scarlet and Sign of Four featuring the unparalleled genius Sherlock Holmes, I have finally reached the much more widely acclaimed short stories by Arthur Conan Doyle. 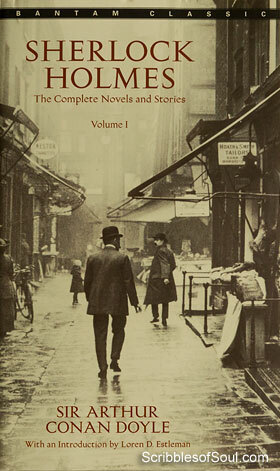 Adventures of Sherlock Holmes is a collection of 12 short stories, first published as individual stories in 1891-1892 in Strand Magazine. The rising popularity ensured that the stories were published as a book just three months after the last story was featured in the magazine. And since then, these Adventures have found many takers. I plan to read the stories chronologically and would be linking their reviews here. So lets begin our adventurous journey with a hot Scandal in Bohemia.